Everyone needs to send flowers at one point in time whether it is for a birthday, holiday, sympathy, anniversary or "just because" but we all want to save money and time in doing so. Many times we will just latch on to one of the online 800 numbers advertising that are a florist, when in fact they are a flower broker or they just gather orders to send at reduced money to an unsuspecting florist to fill the order and to deliver the order. These services do not even have flowers in their location! If you are interested in not just saving money but getting the full value of your money then finding a Real Local Florist is the answer. Only Real Local Florists have flowers in their store, they have creative designers and they know what flowers are seasonal and the best value for you to send. So how do you not get tricked and how do you find the Real Local Florist in the area you want to send to? It really is simple......go to google, simply type in the word "florist" and the town you wish to send to along with the state. For example, if you wanted to send flowers to Sunrise, Fl..type "florists in Sunrsie, Fl" into the google search, and Flowers From the Rainflorist pops up along with some other shops that service the area. Read the shop's reviews that have been written by other customers..this gives you the idea of the level of customer service you can expect from each shop. Finding a Real Flower shop is key to saving time and money. If you are still not sure if they are a Real Local Florist, call their number and ask if you can come into the shop to pick up the flowers. If the answer to this question is NO. Hang up! If their physical adrdress is not located on their website...don't place an order. It is often not a Real Florist. Many of the 800 and "online florist" phone banks route shoppers to fictitious flower shops. Often times, customers are connected to a telemarketer who takes the order, subtracting service fees and commissions. Then they send the order along to a Real Local Flower Shop at reduced value to the florist and the customer. Be sure to always verify the address of a claimed local florist; your money will go much further and you will be dealing with the actual local florist who will be delivering your floral gift. This item is $100 from www.FlowersFromTheRainflorist.com. If you ordered this item from a telemarketer instead of from a Real local florist delivering in Sunrise and Ft. Lauderdale, often there is a "service fee" of up to $ 19.99 added to your order, then an additional 30% of the value or $30 would be kept by the telemarketing company and worst of all your friend or family member would receive 30% less flowers. 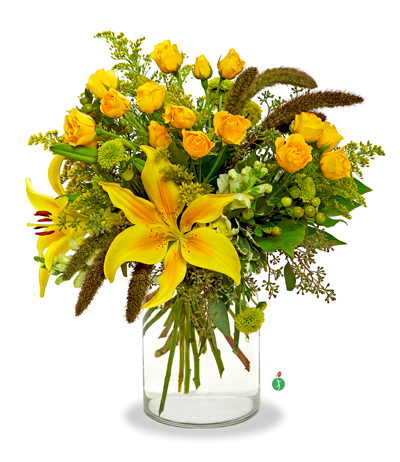 Flowers From the Rainflorist will always save you money, buying direct is always the best way to send flowers. Why not buy smart and buy direct from www.FlowersFromtheRainflorist.com , A real local florist with same day deliveries to Sunrise, Ft. Lauderdale, Margate, Tamarac, Davia, Boca Raton, Coconut Creek and Pompano Beach.